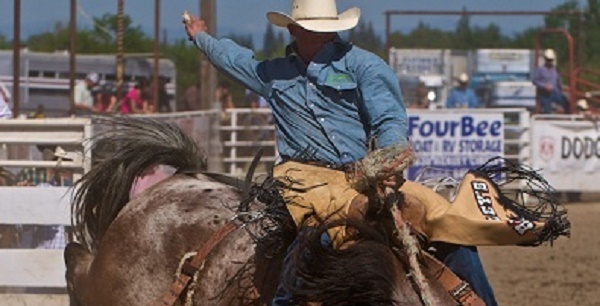 Founded in 1871 when the Stockton & Visalia Railroad met the Copperopolis Railroad, Oakdale goes by the slogan of ‘Cowboy Capitol of the World’ and to that end hosts its annual rodeo the 2nd week-end in April. Nearby lakes are popular destinations for fishing, boating and water skiing. Camping, hiking, hunting, fishing and snow skiing are available within an hour’s drive from the nearby Sierra Mountains. In-city recreation includes an 18-hole country club golf course, and numerous city and recreational parks. Oakdale also hosts the Oakdale Chocolate Festival the third weekend in May each year. Our local museum, the Oakdale Cowboy Museum focuses on area ranchers, rodeo cowboys and cowgirls. Exhibits include historic photographs, saddles, rodeo artifacts and cowboy gear. During the warmer weather, Oakdale hosts a weekly Farmers Market, local concerts and movies in the park. Several community theater companies also thrive in the surrounding area. With a current population of around 20,000, Oakdale takes pride in its small town atmosphere, with a full range of services, shopping and recreation. Oakdale enjoys a moderate climate throughout the year with winter temperatures ranging from the mid 30’s to the high 60’s and summer temperatures from the 70’s to the low 100’s. There are four elementary schools in the Oakdale Joint Unified School District and two high schools. According to school-ratings.com, Oakdale’s Base API scores start at 507 and go all the way up to 759. Students at Oakdale schools receive the additional benefits of music and sports programs, along with club activities and academic competitions. Oakdale offers a variety of housing options from established neighborhoods to new subdivisions currently under construction. Homes with acreage are available just outside city limits. The average annual Oakdale rainfall is 13.33”, and there are an average of 44 days annually with measurable precipitation. The wettest year was 1958 with 22.15” and the dryest year was 1947 with 7.99”. If you are looking for a diverse rural community located in the heart of Northern California, consider Oakdale. And, if you are looking for a Realtor that knows this area inside and out, contact a Century 21 M&M Realtor at 800-350-1548.